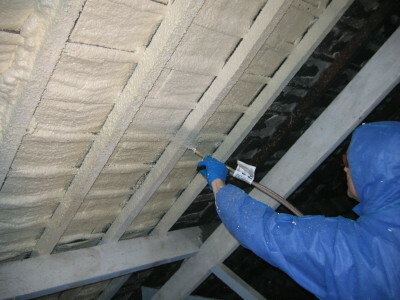 Over the past few years the parts of the building regulations that relate to energy efficiency, have been revised several times in line with the need for increased energy efficiency, and to reduce the impact buildings have on global warming. 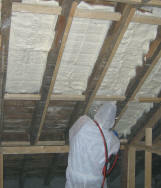 This has meant significant changes to the thickness of insulation required for buildings. Part L1 & L2 (2002) were updated in December 2005. The main changes will relate to different methodologies, that will be used for new buildings and existing buildings. How does this affect a conversion or a change-of-use? In effect, extensions and conversions will have to comply with the regulations, and this will mean that some parts of a building e.g. a converted loft in an existing house, will have to peform at a higher level than the rest of the house. 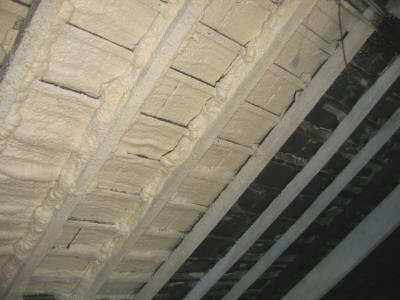 The only way to achieve these higher standards will be to use thicker or higher performance insulation materials. For new buildings, the elemental method is to be eliminated in favour of a Standard Assessment Procedure (SAP) rating for the building as a whole. In other words, compliance will be based on a more wholistic approach based on the energy and carbon performance of the whole building. For new builds we strongly recommend that you seek guidance from your architect in this regard. Reference: Office of the Deputy Prime Minister, Building Regulations Draft approved document Part L1B (2006). Please note that this information is provided in good faith and may be subject to change. Please refer to your local planning officer or Architect before beginning renovation work.